The board would like to give the manager all the necessary resources in order to build a team that will be able to mount a serious promotion push next season. 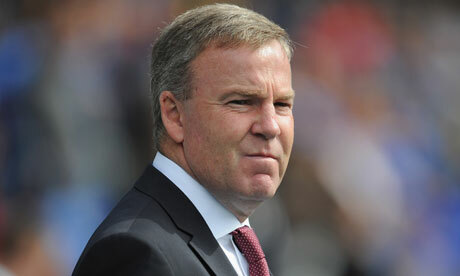 Wolves coach Kenny Jackett is expected to be spending big during the summer in order to improve his team. It is believed that most investment will be done in the offensive sector where Wolves have struggled to score goals last season. Indeed with the departure of BenikAfobe for Bournemouth, Wolves have experienced difficulties to score goals and would want to take corrective measures during the summer. There are media reports that Wolves have made a bid for Fulham striker Matt Smith in an attempt to improve their attack. Smith has been a frustrated player last season where he fell down the pecking order after McCormack and Dembele. Jackett will be hoping that the prospect of playing regular football might be enough to tempt Matt Smith to make the switch. However, it is unlikely that Fulham will allow their striker to leave the club especially with the possibility of Dembele leaving the club next season. Even if Fulham might be interested in selling Smith, Wolves will have to pay a big amount in order to get the signature of the player. Wolves have already completed the transfer of Andy Lonergan from Fulham in order to boost their goalkeeping options. Lonergan has signed for two years and said that it was an honor for him to play for a side like Wolves. He stated that Wolves is a massive club and has a fantastic support and that he is really pleased to form part of this team.